Ahmedabad Management Association (AMA) is a member of All India Management Association. AMA conducts annually over 600 management development programs and 120 lecture programs. 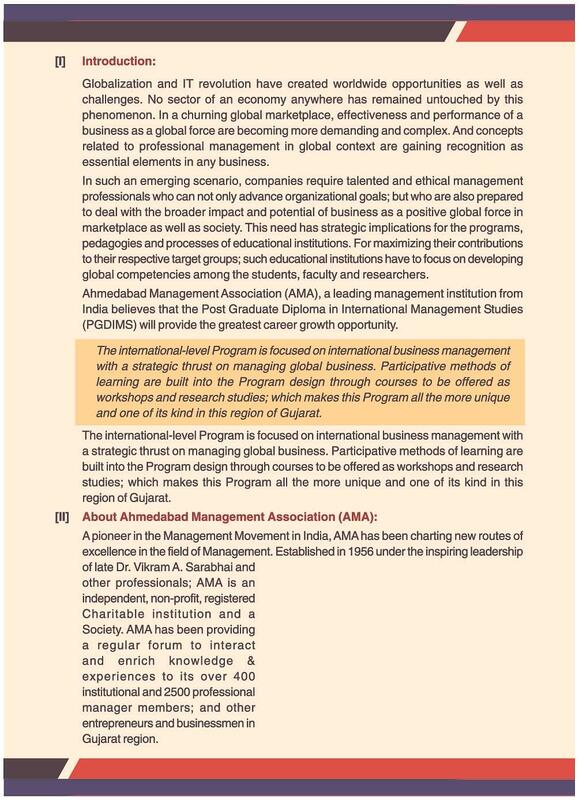 AMA is an ISO certified and an approved institute for Management Training by Government of Gujarat. AMA offers Postgraduate diploma and other vocational courses. 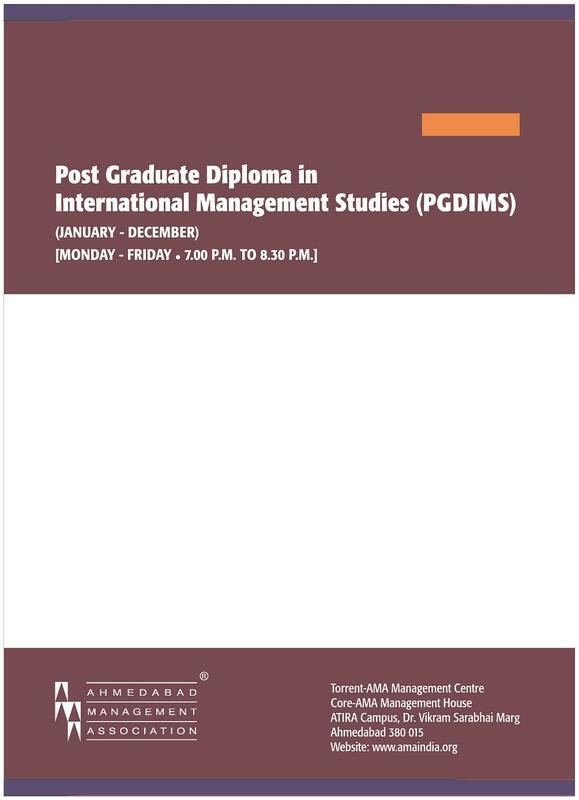 AMA offers postgraduate diploma in collaboration with California State University in Financial Management, Marketing and Sales Management, Healthcare and Hospital Management, Human Resource Management, International Business Management and Advertising and Brand Management. 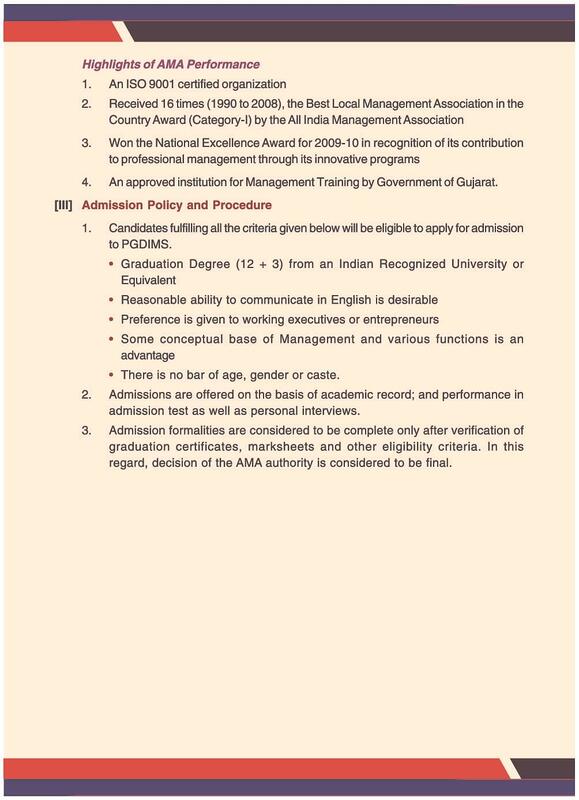 To get admission to these courses, the candidate will be admitted on the basis of academic performance in Graduation, entrance test and interview. The students seeking a career in the banking sector are eligible to apply on the basis of marks scored in Graduation. The professionals, junior executives, finance executives are also welcomed. The candidate’s selection will be made on the basis of interview. AMA offers vocational courses to upgrade the skills of their students to match the industrial standards. Bakery and Pastry Chef Professional (Basic Level) program is offered to the students. AMA facilitates language courses (English, German, French, Japanese, Chinese) are offered at its campus. The institute offers Export-Import related programs, Management Development Programs, distance learning programs for working professionals. The institute has been awarded 16 times from 1990 to 2008, the Best Local Management Association in the country Award by AIMA. Has won the National Excellence Award (2009-2010) for its contribution to professional management through its innovative programs. AMA complex has received the distinct award in 2001 in educational building category. The building complex is equipped with seminar halls, auditoriums, library, meeting rooms etc., to facilitate modern teaching methods. The institute has a vast number of faculty drawn from renowned management institutions. Also, industry experts are invited to share their practical experiences. The management and training development programs focus on the current happenings in different sectors such as Economy, Behavioral Science, Financial sector etc. AMA has its own entrance test and evaluation method. 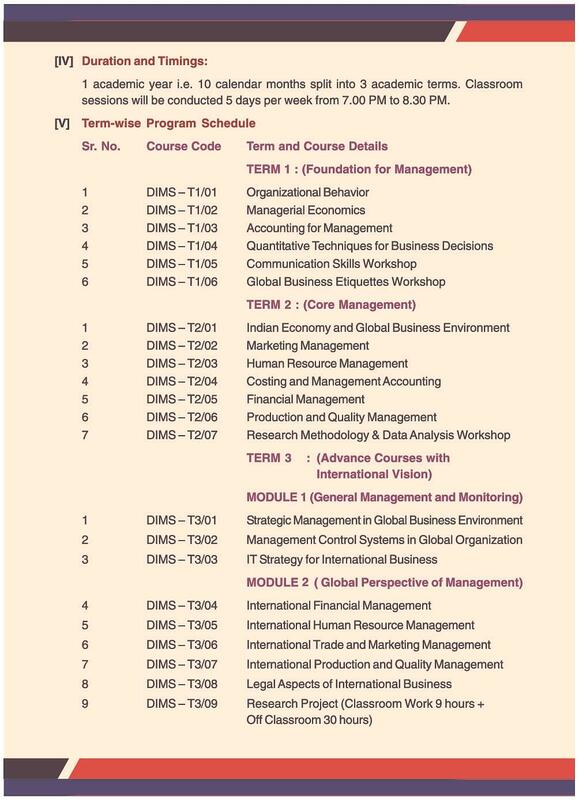 I opted because of the dynamic design of the course that is MBA in international marketing. And also more importantly they do not have Reservation thing, which really was a boiling factor at that moment. Placement was something they lack, as placement never was its priority. Hence we did suffer in terms of placement. But, becuase of excellence and good education they provided, most of us are satisfactory placed.